An Alabama youth softball game led to felony charges in what may be the least grandfatherly actions on record after a 55-year-old man attacked the umpire of his grandchild's softball game. 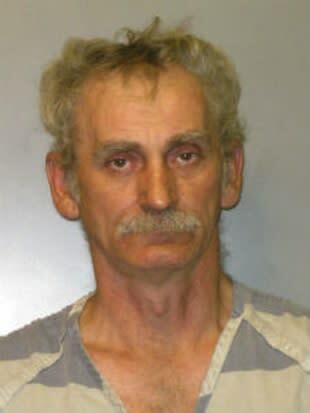 As reported by Birmingham Fox affiliate WBRC -- and noted by USA Today, among other outlets -- Jefferson County, Ala., resident Darryl Keeton was arrested after attacking an umpire following a youth softball game at Mt. Olive ballpark, the local baseball field. After a game spent heckling the official, Keeton took matters further by attacking the official in the parking lot outside the ballpark, punching him in the face and leaving him with a bloody nose. Because Keeton was attacking a sports official and not a normal member of the public, a Alabama law stipulates that brief attack must yield Class C felony charges which could land the grandpa as many as 10 years in prison. "A bloody nose most of the time will get you a misdemeanor, and that's wrong, but yeah, there's a law on the books that if you assault an official it's a Class C felony," Jefferson County Sheriff's Department Chief Deputy Randy Christian told WBRC. "That's a serious crime, and it should be." Keeton's assault on the official was limited to a first punch thanks to the timely intervention of an off-duty Birmingham police officer, but by that time Keeton -- who was released on bond shortly after his arrest -- had already done enough to land himself felony charges and thoroughly embarrass himself in the process. "You let the kids and the coaches work that out, that's part of life," Sgt. Christian told WBRC. "But if he's not embarrassed about that, I'm certainly embarrassed for him."